iThemba – Behind our Back, right on front of our Eyes? ANOTHER GREAT EXAMPLE OF WHAT’S HAPPENING BEHIND OUR BACK RIGHT IN FRONT OF OUR EYES! His target is to develop some 42 crèches, thereby creating a tipping point in the education of the youth. Anecdotally, it is always refreshing and a keen reminder of our circumstances when you have the opportunity to spend time in a township. There is a palpable energy. For the most part people seem to be busy, getting on with their lives, and in many instances making a difference. What is remarkable, in more recent times, is the size of new houses being built, they are comparable with the smartest houses in some of our more affluent suburbs. SIDLALE: SITE-BASE and HOME- BASED. WHY ECD SUCH AN IMPORTANT ASPECT OF EDUCATION TO GET RIGHT? Research has shown that the first 0-5 years of a child’s life are crucial for development, providing the foundation for all further learning. Investments in Early Childhood Development (ECD) have the biggest impact on the economic success of a nation. Unfortunately, in South Africa as a whole, only 4 out of 5 children attend a formal crèche or preschool, and the statistic is similar in our area (Heckman & Masterov, 2007). ECD also plays a role in reducing HIV transmission rates, especially among girls, and increases the change that children will complete high school (WHO, 2012; Unicef, 2008). The Asidlale programme was started in order to address this need in Mpumuza. Asidlale Site-based programme: Our site-based ECD programme Asidlale (Let’s Play) involves partnering with local unskilled ECD teachers, providing them with context-specific curriculum, and mentoring them through the process of teaching ECD. The majority of these teachers have had no training, and most ECD sites in this area are simply daycares where children eat and sleep, but have no stimulation. Through weekly one-on-one mentoring sessions with a skilled ECD practitioner, workshops twice a quarter, spontaneous crèche visits, and local teacher support groups, the Asidlale programme helps teachers gain and integrate the knowledge, skills and values needed to provide excellent ECD. The teachers also have a chance to develop classroom resources through our incentivized point-system. Teachers earn points for correctly implementing the curriculum, and they then spend these points at a resource shop during workshops. We’ve found both our incentivized resource approach, and the one-on-one mentoring has led to incredible by-in from the crèche teachers, and we’ve seen them grow dramatically. By training teachers, we are able to impact not only the children currently in their care, but all future children as well. Home-based programme: This aspect of our ECD programme engages parents who do not send their child to crèche around the importance of ECD. Right now we are reaching 120 families in the Zayeka district of Sweetwaters. At parent-child playgroups, parents have the opportunity to learn about ECD, interact with their children, develop at-home resources, and borrow educational toys from our “toy library”, and gain support from other parents. We also do home visits during the week to follow up with how parents are implementing the ideas they have learned. We have found that this combination of home-based and site-based interventions is building momentum, and helping us create new norms where ECD is valued. Relational & Long-term: A critical component for the success of this programme is longevity. Many other organizations have tried a workshop-based model, where teachers receive training; however research has shown that for people to truly acquire new skills, retain them, and integrate these into their lives as habits, time and persistence are required. Most excellent teachers have received years of quality education as children themselves, trained for four years at accredited colleges, and had internships post-studies. Teachers in Sweetwaters have not had the benefit of any of these experiences. Our relational one-on-one approach, with personalized follow-ups during the weeks combined with group support, means that teachers are surrounded by a network of people who can encourage them in their process of acquiring the skills they need to provide quality education to children in Sweetwaters/Mpumuza. Saturation: Further, by focusing our energies district by district, we believe we can saturate the district and create a new culture around education, where quality ECD is the norm. Research shows if we can reach 60-70% of a population with a targeted behavior change, this change is more likely to be retained (Tough,, 2007). 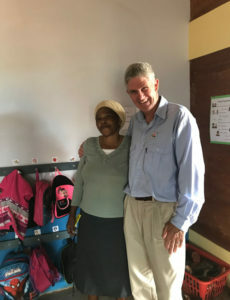 While this requires intense time and energy for several years on our part, we believe the payout will be exponential, as crèche teachers will truly “own” the importance of ECD, will share their skills with others, and will be a part of transforming the education system in Sweetwaters from the bottom up. We are starting to see this happen in Zayeka district, where we have 4 partner crèches. One of the teachers has now taken on a mentoring role, not only hosting teacher support groups, but helping teach at our skills-based training workshops, and inviting new teachers to observe in her classroom. We believe that with intense, focused effort, we can truly create lasting change in this community. Influence Strategy: Based on research by Grenny (2013) in each of our programmes we are focusing on just two “vital behaviors”, which we believe if implemented, will have exponential impact on the overall system of behaviors we would like to see implemented. These two behaviors are then reinforced through the six streams of influence–individual motivation through education, peer support from other parents/teachers and whatsapp groups, environmental/structural support through modeling, rewarding positive behavior, and visual reminders (posters/slogans). 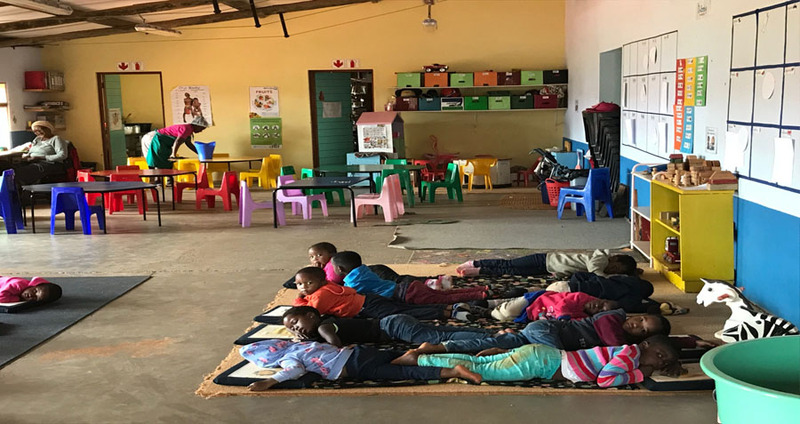 For site-based ECD, we are concentrating on: teachers taking time to plan and prepare for the week ahead, and creating various play corners in their classrooms. For home-based ECD the two behaviors are: parents playing one hour with their child daily, and reading one book a day. We believe if teachers or parents implement these two behaviors, they will see the progress their children make and start to value ECD more– which will lead to more interaction and stimulation with their children. Their children will also come to expect a certain level of engagement and start to ask for it outside of scheduled play/reading times, which will lead to more play as well. iThemba Projects education programmes are strategically designed to make maximum long-term sustainable change in the community of Mpumuza. Often organizations use large-scale short-term skills transfer models and claim large number of changed people. Our experience has shown that face-to-face, one-on-one relationship building over time leads to real long term behavior change and higher retention in all of our programmes. This approach also creates more ownership of the concepts, ideas and especially values. Further, by focusing on saturating a specific area of the community with quality ECD, we can help create a new norm and culture for that corner of Sweetwaters. We are using research-based methods of using multiple streams of influence to encourage and reinforce positive ECD behaviors in this community, and we truly have been excited by the real change we have seen so far. Our assessment of the children in the Asidlale programme has shown that our programme is succeeding in actually changing the way crèche teachers teach, and improving foundations laid for children in this area. 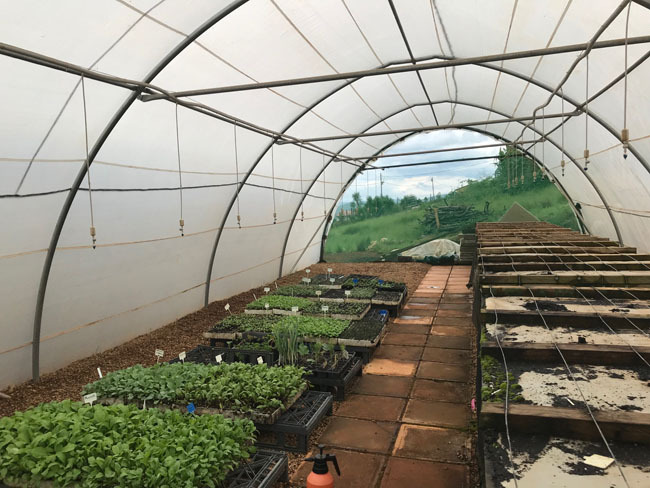 Our programmes are structured to empower, rather than create dependency, and our history of working in this community means that we have the complete support of the community leaders and all stakeholders. We are constantly gaining feedback from our participants as well as through new research, and we are committed to adapting and growing in order to best serve the people we work with. 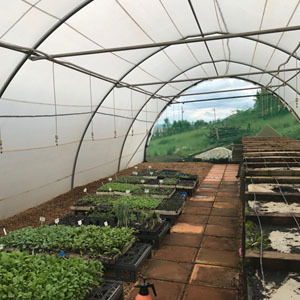 Further, we believe the models we develop and the techniques applied in this community have the potential to be adapted and transferred to other communities around South Africa. Through deeply impacting one community, and focusing our efforts on quality, we believe we have the potential to impact the future of South Africa. Grenny, J, Patterson, K, Maxfield, D, McMillan, R, Switzler, A (2013) Influencer. The New Science of Leading Change. 2nd Edition. Heckman, J.J. & Masterov, D.V. (2007). The productivity argument for investing in young children. Nber Working Paper Series, Working Paper 13016. http://www.nber.org/papers/w13016. Accessed 6 November 2014. The World Health Organization (2012). Developmental Difficulties in Early Childhood Survey.